Brace yourself when entering the disorienting world of Moonchy & Tobias, where churning rock textures created by Todd Tobias are the landscape within which vocalist Pat Moonchy runs riot, warping her voice into every recess and shape available. Skirting the boundary between fairytale and nightmare, the angular architecture of the music is softened and stretched at every juncture. Moonchy & Tobias create a transformative musical experience in which giddy tangents abound. Brace yourself when entering the disorienting world of Moonchy & Tobias, where churning rock textures created by Todd Tobias are the landscape within which vocalist Pat Moonchy runs riot, warping her voice into every recess and shape available. Whether the pounding bass of ‘Juu Ichi’, the bubbling submarine atmospheres of ‘Vertigo Trail’, or the percussion and fuzz carnival of single ‘Une Saison En Enfer’, Moonchy and Tobias create a transformative musical experience in which giddy tangents abound. Skirting the boundary between fairytale and nightmare, the angular architecture of the music is softened and stretched at every juncture. Moonchy & Tobias pairs Italian vocalist Pat Moonchy with American instrumentalist Todd Tobias. Moonchy is one-half of the experimental band Sothiac, plays in duos alongside trombonist Angelo Contini and jazz drummer Lino Liguori, in the Tai-No Orchestra, and with German krautrock pioneers Faust. 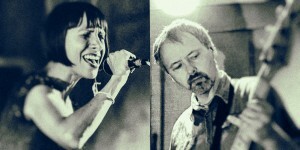 Ohio native Tobias is a long-time collaborator with Robert Pollard (Guided by Voices), and provided the musical backing to Pollard’s vocals in the freak-rock trio Circus Devils. Tobias has also released a series of themed instrumental albums under his own name, and has released a duo album with Hidden Shoal labelmate Chloe March. Pat Moonchy and Todd Tobias’s brilliant debut collaboration has been named in the top ten best albums of 2018 by the wonderful Here Comes The Flood blog. Check out the list here, and soak yourself in the dizzying glory that is Moonchy & Tobias here. All tracks from Moonchy & Tobias are available for licensing across film, tv, web, games and beyond. Hit us up for more details. The time has come to release the beast! 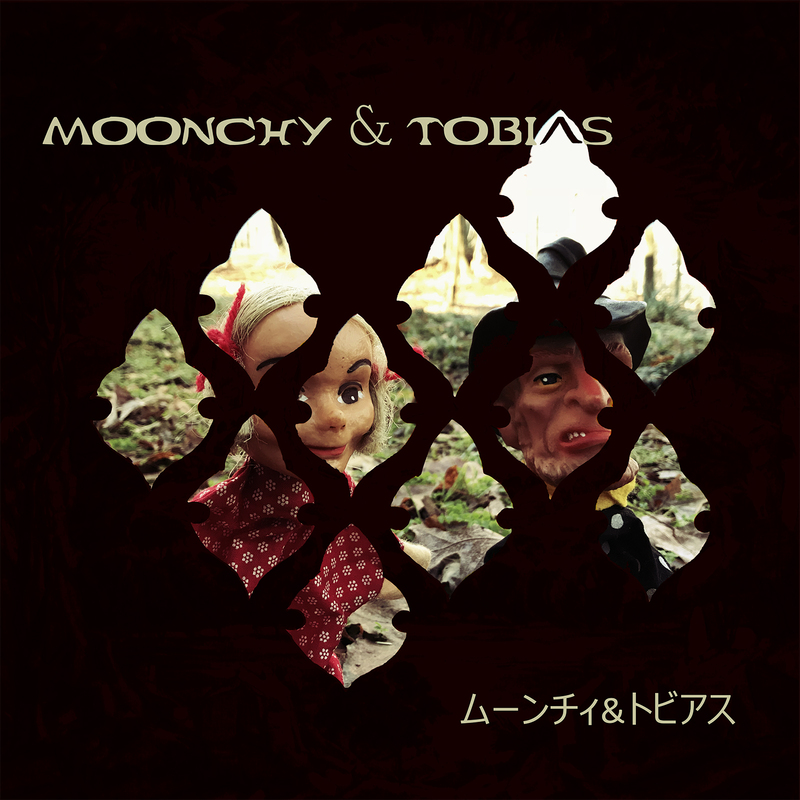 Moonchy & Tobias, an electrifying collaboration between Italian vocalist Pat Moonchy (Faust, Sothiac) and American instrumentalist Todd Tobias (Circus Devils, Robert Pollard), is out now. The album sees release through Hidden Shoal and Tiny Room Records and is available via Bandcamp, Spotify, iTunes and the other usual suspects. Be sure to also check out the wild new video by Budano Lino for the album track ‘Vertigo Trail’. More on Moonchy & Tobias here. We’re very excited to present the first taste of Moonchy & Tobias, an electrifying collaboration between Italian vocalist Pat Moonchy (Faust, Sothiac) and American instrumentalist Todd Tobias (Circus Devils, Robert Pollard). Check the wonderfully chaotic music for ‘Une Saison En Enfer’ via Youtube, stream the track via SoundCloud or download via Bandcamp. Moonchy & Tobias will see release on November 2nd 2018 through Hidden Shoal and Tiny Room Records. More on Moonchy & Tobias here. 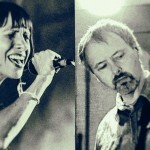 “Over the last couple of years Todd Tobias released a bunch of atmospheric soundscapes, telling stories without words. His new album is a collaborative effort with Italian avant-garde singer Pat Moonchy, whose voice is not a vessel for lyrics per se, but more of a solo instrument. her almost childlike operatic delivery is a contrast for Tobias music that can be harsh at times, but also be gently flowing like a brook in Spring. “Italian-American duo Moonchy & Tobias craft a slow, drifting mechanical soundscape with a wide variety of musical texture. The song starts off with avant-garde samples, ripping, soft-tapping on wood, and a little tape hiss. As the song begins it’s march, fuzzy guitar squelches under the mix adding a chunky crackle. Soft organs play a stagnant, clean drone of chord change. A dilapidated slot machine-like sample slips quietly in every now and then. On the left channel lies most of the slinky and memorable rhythms. The clean bass, coupled with hollow, bouncy synths join together to play the songs most dominant riff. Moonchy’s ethereal vocals are a nice, melodic high-end to the mucky, sharp instrumentation. The production is focused and tight, clearly showing a producer who is not only inspired but precise. The music of Moonchy & Tobias is available for licensing (master & sync cleared) through Hidden Shoal. Please contact us with some basic details about your project and the track(s) you wish to use and we’ll be sure to get back to you straight away.